This time, it's not a post about fashion but about a discovery I made recently. One of the things I like the most here is NetFlix. On demand tv shows and movies. Despite the selection lacking certain classics of cinemas (Fight Club, Kubrick movies etc. ), it does have quite a couple of older and foreign movies that are really worth it! I'm always in a quest to find new things to watch and I'm always looking for something 'different'. In a world where what sells is sequels or adaptations of marvel's superheros or romantic vampire teenage roman (you get what I mean) it's so hard to find something that actually brings something or means something. I've looked a lot and found many directors that give something different. (Kubrick 2001: A space odyssey, Kubrick Mullholland Drive, Richard Kelly Donnie Darko) but they all have so much mystical to them that sometimes it's hard to figure out what it means. So, browsing netflix this summer, I came across Twin Peaks. I had seen a movie by Lynch before and I wasn't too convinced. I had heard of the series as it was a cult when it came out in 1990. Also, an author I interviewed for class told me his series was inspired by it. Out of curiosity, I decided to check it out. My boyfriend and I watched the pilot episode (which lasts 1h30) and I just fell in love with it. It actually is what I wanted all along. Being a fan of murder and mysteries stories (books, movies etc. 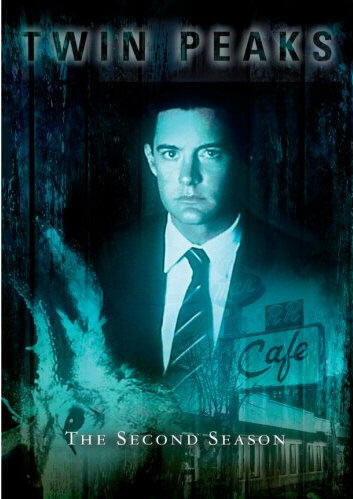 ), mixed with this weird, scary yet humoristic of Lynch and actually the fact that the 'weird' elements are actually explained and talked about (as opposed to Mullholland Drive) made me love this series. It's actually the story of the death of Laura Palmer, the homecoming queen that everyone seems to love who has been murdered. An FBI agent (Dale Cooper, on the poster) starts investigating the case with the help of the sheriff and his deputies. Soon, the plot thickens and everyone starts revealing their secrets. Laura isn't who she pretended to be. Another point that makes me love this story so much is the main character, Agent Dale Cooper. In a weird way, I can really relate to him. We have that same peculiar sense of observation, a passion for justice and a offbeat personality. I'm pretty sure we share the same Myers-Briggs personality type. Anyhow, I just wanted to share my discovery with you guys. I'm currently watching the second season, I just watched episode 13. I will give you a follow up once I'm done with the whole thing. Let me ask now, did any of you watch this series? Or another movie by Lynch? I'm very curious to see your opinions, but please, don't spoil the story!